Director Tim Phillips, Vice President of Animal Defenders International (ADI), an organization working with authorities worldwide to ban live animal circuses, created the classic documentary, Lion Ark. The film follows the rescue, in Bolivia, of 25 brutally caged lions living in horrific conditions. Enforcing the South American country’s ban on live animals, a team of dedicated men and women, accompanied by the Bolivian authorities, seized and relocated lions from eight circuses scattered across the country’s hazardous terrain. The lions were nourished and airlifted to the Wild Animal Sanctuary that has 329 acres of massive grassland, which provides a safe haven for animals. The riveting action adventure film documents the biggest rescue and airlift of lions in history. 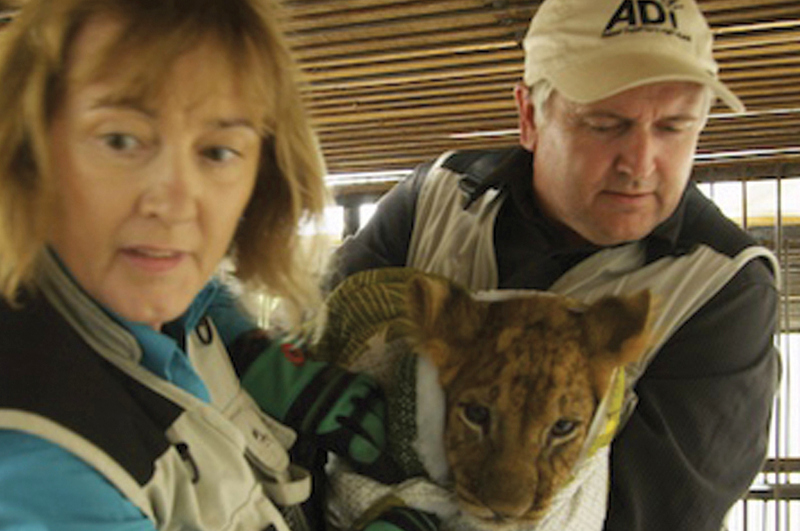 Team members of ADI and the lions were met with death threats and violence throughout the rescue operation. ADI secured the first ever South American nation-wide ban prohibiting lions use in a country’s circus acts. Bob Barker, the former Price is Right host, donated $2million to help transport the malnourished, thin and dehydrated lions. In an interview, Bob Barker said, “I am delighted to have helped ADI give these animals a wonderful new life after they have endured so much misery. Circuses are no place for animals, and lions and tigers should not be forced to live in small cages on the backs of trucks, or elephants forced to live in chains in the name of entertainment. The film reflects the cruelty of man; animals and mankind’s resilience to triumph spiritually over tragic experiences. The film is one of the most extraordinary odysseys concluding with an uplifting ending for the lions. ADI is working continuously to create legislation in the United States and globally to end the suffering of animals in circuses and abusive situations. See the trailer for Lion Ark on the ADI website. Lion Ark was screened at fall Hawaii International Film Festival, (HIFF). HIFF also presents screenings every spring. See you at the movies.